The new Ulticontroller 2.1.t is out. It‘s mainly the same like the previous one. Only the driver section has changed. Which one you would prefer? The 2.1.4 with an extre heatsink in the driver section or the 2.1.5 with easy to replace drivers? 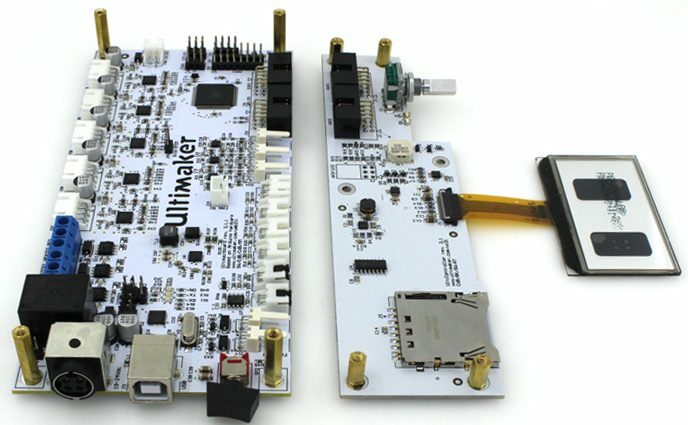 Have you flash3d the original firmware for um 2 + ext to the board? I started cura and it says wrong hardware for firmware. Btw: Is it normal that the oled stays dark, when you power on the board (only the green led onboard is on)?